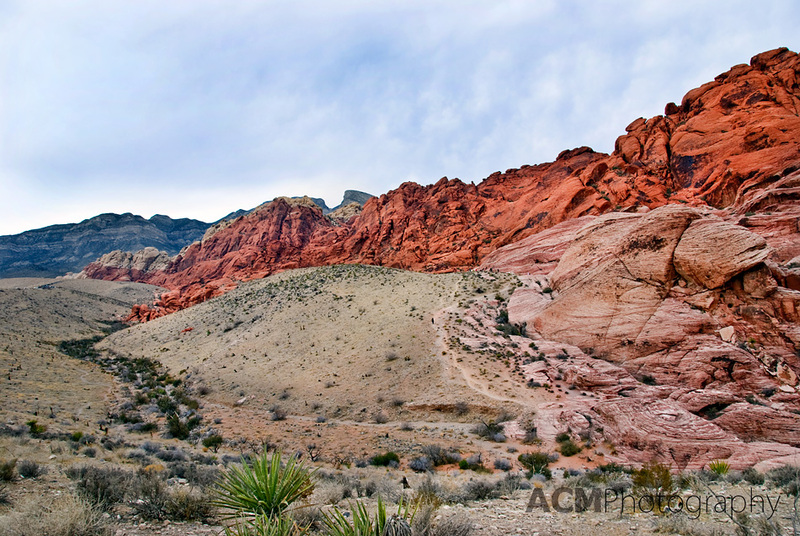 Earlier this month I was fortunate to have the opportunity to visit Red Rock Canyon on the outskirts of Las Vegas, Nevada in the American South-west. Although I was there at mid-day, and the harsh light made photography difficult, I was very happy with the results of several images. 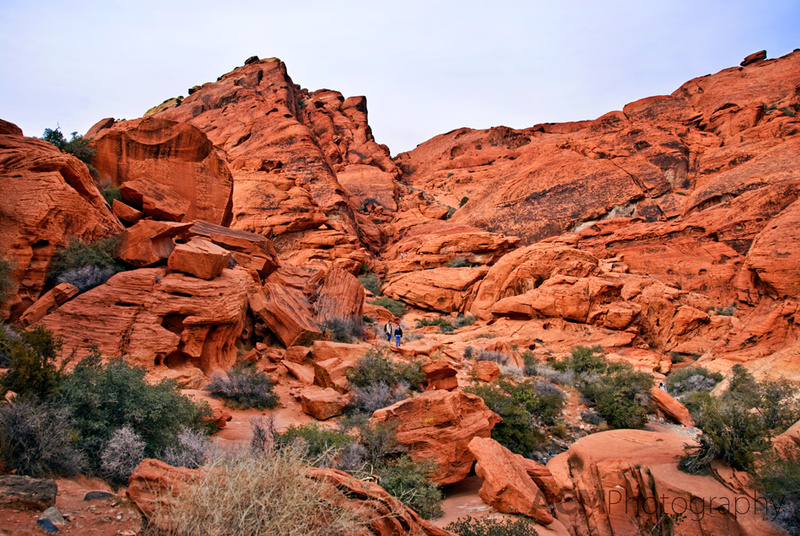 The red rocks are an incredible natural formation, with a staggering array of colours from bright orange to deep red. The size of the rocks is difficult to imagine until you notice some of the tiny human figures in the photos. If you look closely you can see a few people in the centre of the frame. They give a sense of scale to the Red Rocks. It is impossible to capture all of the Red Rocks in a single frame. This panorama shows more of the scope of the canyon. This entry was posted on Sunday, January 31st, 2010 at 18:04 and is filed under North America, Travel and tagged with america, canyon, nature, nevada, red, red rock canyon, rock, Travel, united states, USA. You can follow any responses to this entry through the RSS 2.0 feed.